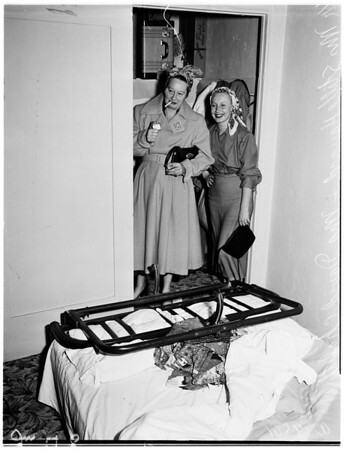 Woman trapped in folding bed, 1952. Mrs. David (Joan) Chaleff -- 20 years (daughter) trapped. (Sleeve reads: A-9561).